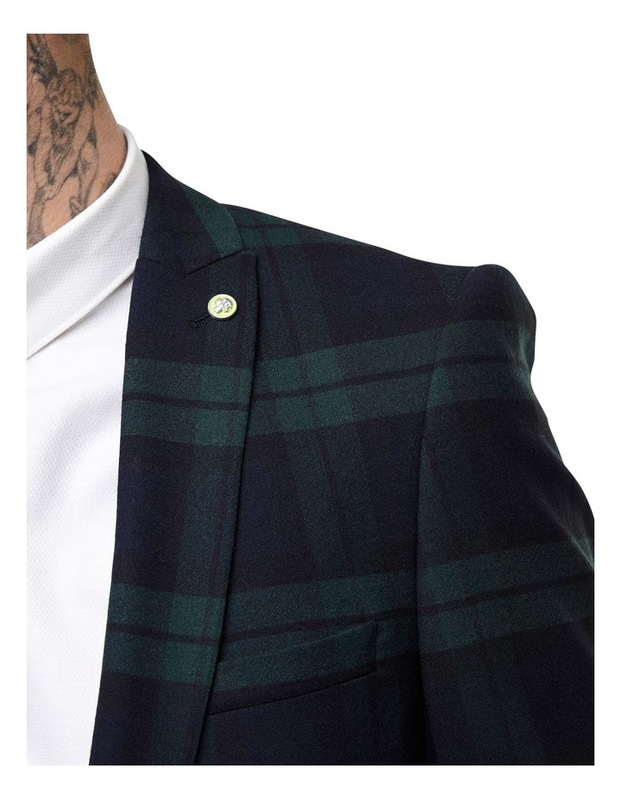 The Ginger is an evolution of our top-selling Ginsberg suit, the iconic green and navy tartan has been upgraded to a bigger scale. 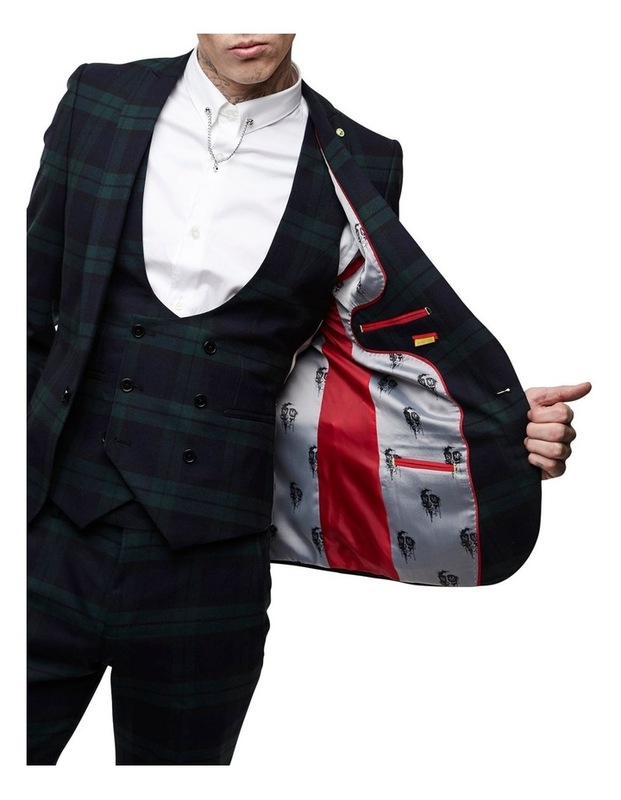 Still a top choice for a statement suit. 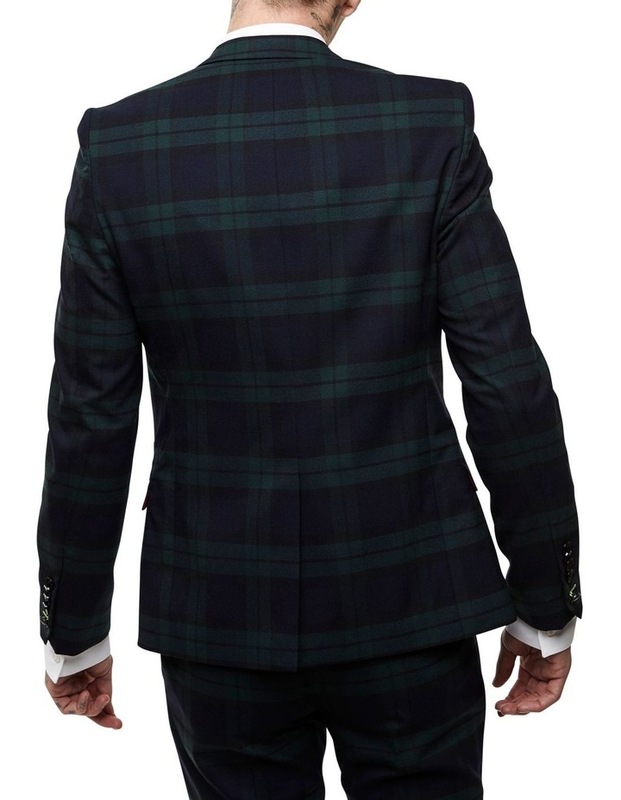 *Part of the Ginger green suit. 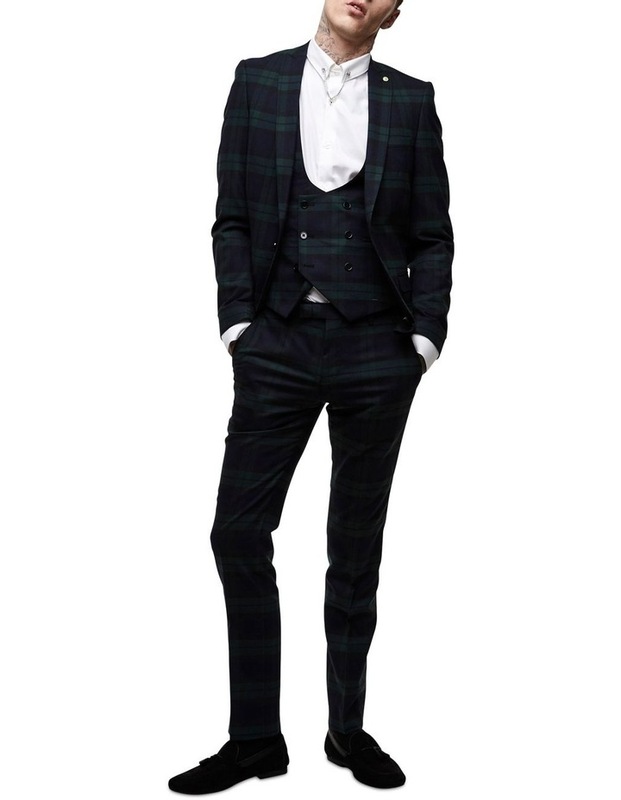 Model is 6'1" (185cm) and wears size 38"/M Waistcoat, 38"/M Jacket and 32RG Trouser. Fit Tip: This style is constructed from signature tailoring fabric which has got a bit of give, so it's perfect for work or play but keep in mind it's skinny fit.